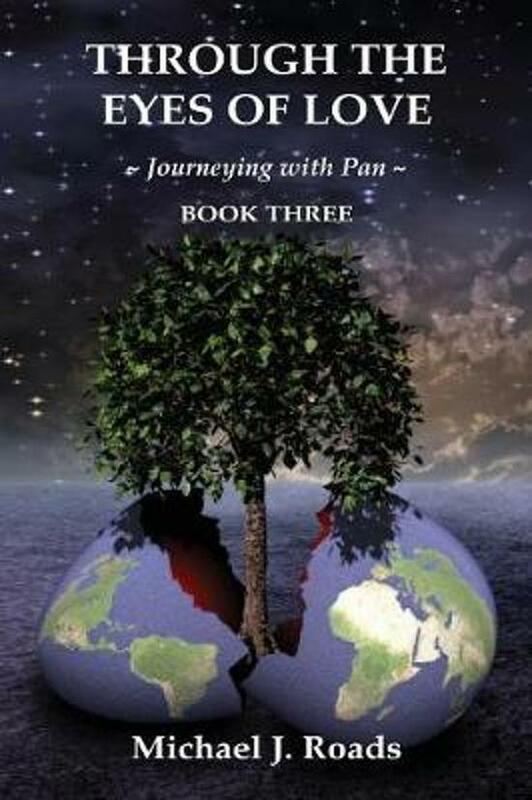 Book Three in the popular Through the Eyes of Love, Journeying with Pan Series is a breathtaking roller coaster of a book, taking the reader to places beyond imagining as my extraordinary metaphysical journeys continue ever deeper into Mystery. Author, Michael J. Roads explains, "As ever, Pan is my teacher; the enigmatic Spirit of Nature. "In this book I visit the Buddha, a Buddha beyond anything I ever expected. I visit the mysterious Serpent Mound in Ohio, watching its very construction, and I visit a sacred mountain in Japan where I converse with two very different Gods, and a Goddess. Fascinated by the process of transition, I accompany three people during their moments of death; a Christian, a person who believes that death is The End, and a person who is spiritually evolved. I journey back five hundred million years to witness Earth changes over this vast period, and I study the many probabilities facing us in our present time. I see that Chaos is rising . . . fast. I visit people in their astral bodies over New York City, and London, and get caught in unintended games I explore and follow the wonder of the torus, journeying deep into the Earth, and I explore the fabulous reality of a fifth dimension . . . our next destination. Finally, I share the three streams of change that I consider the most probable in our time of Earth Changes. "All this . . . and more . . . and the journeys with Pan continue . . ."